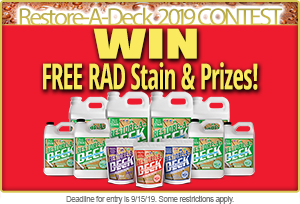 Can RAD Products Be Injected Through Pressure a Washer? 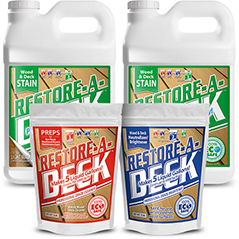 When using wood restoration and maintenance products like the line of RAD (Restore-A-Deck) cleaners it is important to know how to apply them. 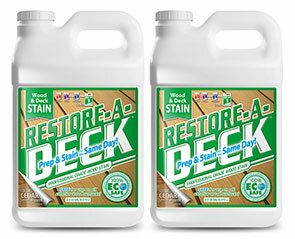 One way to apply RAD products like the wood cleaner, wood brightener, or stain stripper is by the use of a pump sprayer. When using a pump sprayer for application be sure to premix the solution in a bucket first before transferring to the sprayer. This will help ensure proper blending. 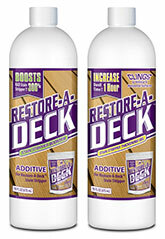 Besides a pump sprayer, can RAD products be injected through a pressure washer? Before we answer that lets look at what that means exactly. What is know as a chemical injector is a device that is connected to the pressure washing hose close to the output side of a pressure washing pump. This allows the out flowing water to travel through the injector and continue on through the hose before exiting the nozzle on the end of the pressure-washing gun when the trigger is pulled. When the high pressure drops by installing a soap nozzle with a larger orifice, a vacuum is created in the injector. This creates sucking pressure through a port. This port has a chemical hose plugged into it and the opposite end of the chemical hose goes into the soap or whatever solution you are injecting. Now when the trigger is pulled soap is sucked up through the injector and “injected” into the out flowing water supply in your hose giving you a water and chemical mixture. This whole process is known as “down streaming”. With down streaming the solution is diluted because it is mixed with water. So to answer whether or not RAD products can be injected through a pressure washer the answer is some of them can. 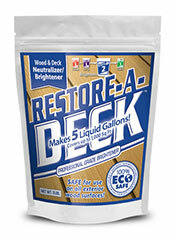 The RAD wood brightener and stripper can be mixed strong enough and mix up well enough to be injected through a pressure washer and applied in that manner. 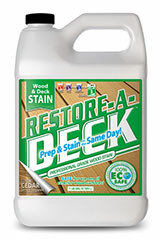 The RAD wood cleaner however cannot be injected through a pressure washer and should be applied using a pump sprayer instead. Mix at the regular ratio. The injecting means you will just have to saturate the wood more until it becomes effective. You will notice when it is working as the ATO will be slippery underfoot. Hi. Cabot semi transparent (Heartwood) Australian Oil. Well worn, 10+ years. Thanks for answering, I didn't think that would happen over a weekend. Hi. 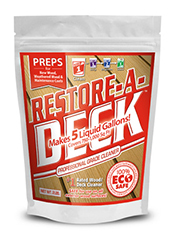 I'm in Minnesota and have a huge deck that needs stripping. I have an ex-cell 2750 power washer with adjustable pressure, low pressure nozzle and injection hose. The manual states the injection operation mixes at 1 part solution to 7 parts water. If the RAD powder is suppose to be at 1 part per 5 parts water what the heck is the math for mixing the powder solution to yield the specified ratio for RAD stripper as it leaves the nozzle? Thanks. 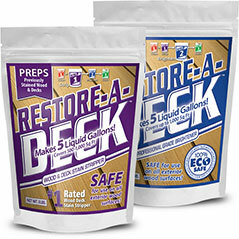 What stain brand and type are you trying to strip by injecting?